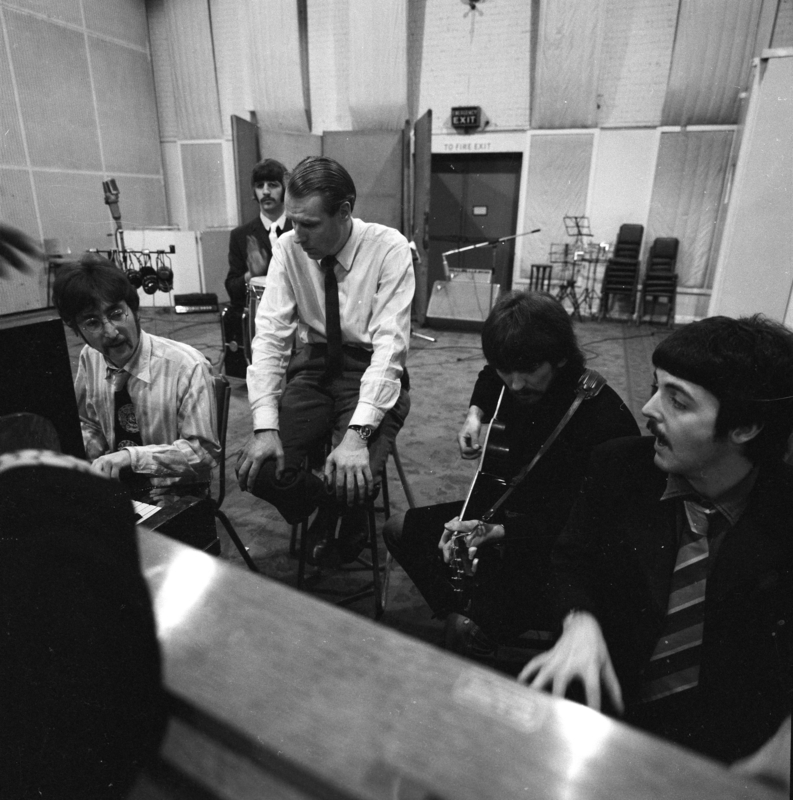 The Beatles with George Martin, Abbey Road Studios Jan 1967, courtesy of Apple Corps Ltd.
Today (Jan. 3) would have been George Martin‘s 91st birthday. The renowned Beatles producer earned virtually every music-related honor in his lifetime including six Grammy Awards, an Academy Award, and induction into the Rock and Roll Hall of Fame, to name a few. The man who was often referred to as the “Fifth Beatle” was born on January 3, 1926 in London. He received Knighthood from HRH Queen Elizabeth II in 1996. He died on March 8, 2016 at his home. The cause of death was never disclosed. Related: Our 2016 interview with Martin’s son Giles, who has been producing many Beatles projects Don’t miss a post! Sign up for Best Classic Bands‘ Newsletter; form is on every page.